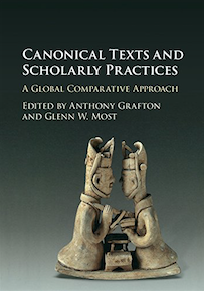 In this collection of richly documented case studies, experts in many textual traditions examine the ways in which important texts were preserved, explicated, corrected, and used for a variety of purposes. The authors describe the multiple ways in which scholars in different cultures have addressed some of the same tasks, revealing both radical differences and striking similarities in textual practices across space, time and linguistic borders. This volume shows how much is learned when historians of scholarship, like contemporary historians of science, focus on earlier scholars' practices, and when Western scholarly traditions are treated as part of a much larger, cross-cultural inquiry.